Veteran Katherine Mera said having her service dog K.C. makes leaving her house possible. 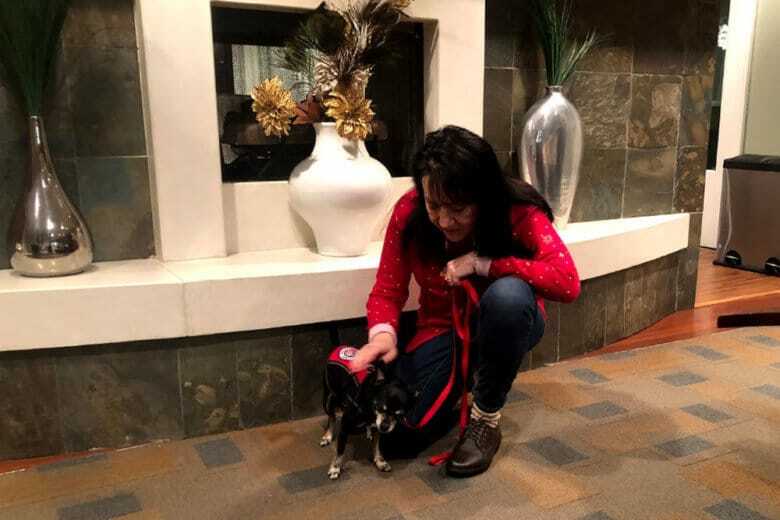 “Before I got him, I didn’t go out. I was pretty much a shut-in,” she said. 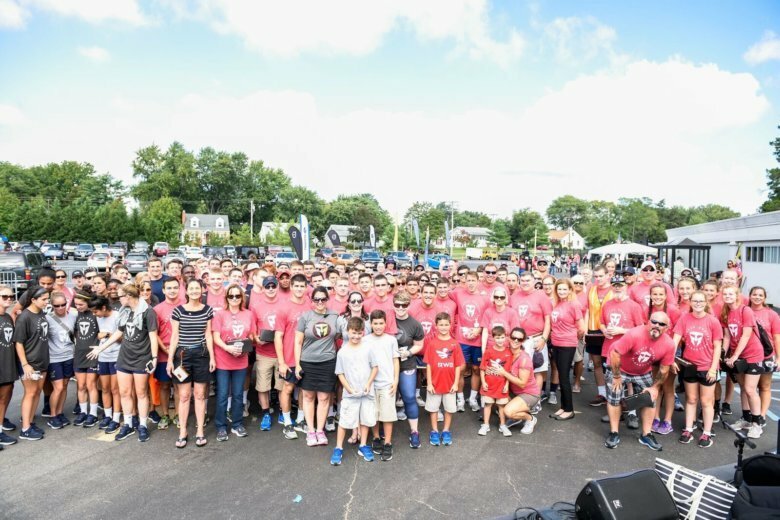 What began as a small memorial run to honor a soldier killed while saving team members in Iraq has grown into an international event over the past decade. 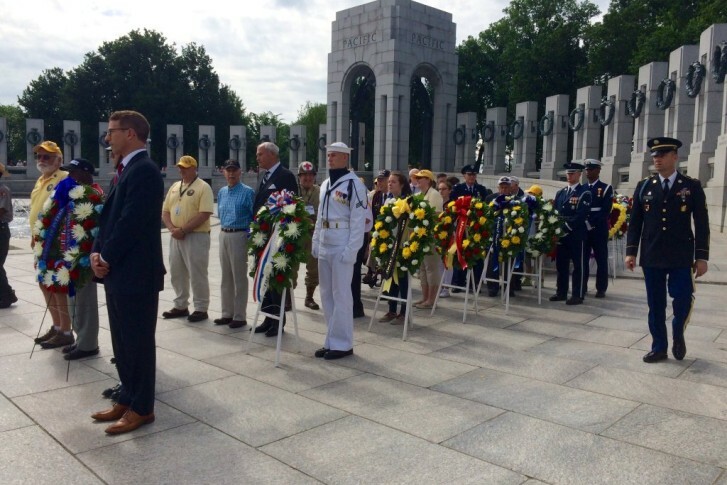 A ceremony paid tribute to the more than 16 million men and women who served during World War II at the National World War II Memorial. See photos and video. 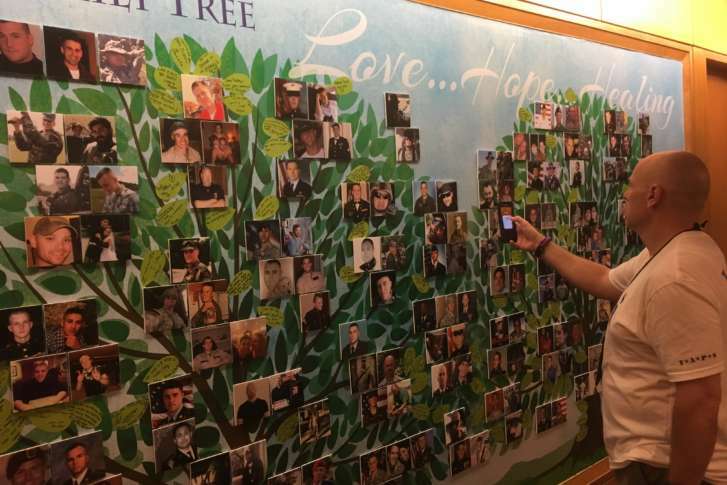 For 23 years, an Arlington assistance program has helped families of fallen military servicemen and women cope with the pain of loss. 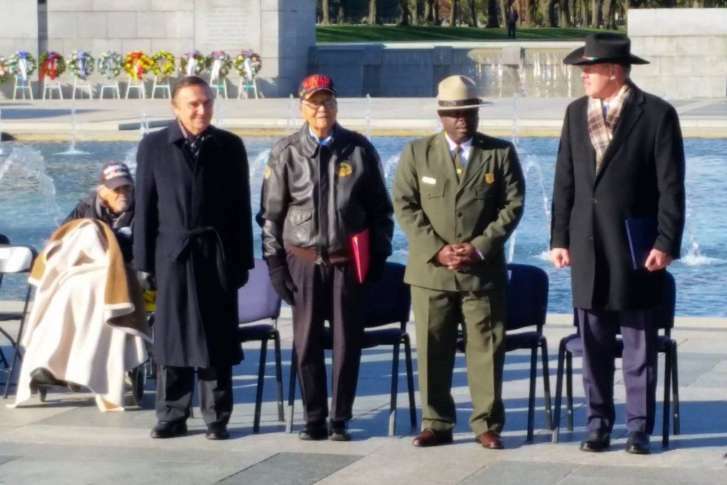 “We honor those who paid the ultimate sacrifice,” said Josiah Bunting, chairman of the nonprofit group Friends of the National World War II Memorial. 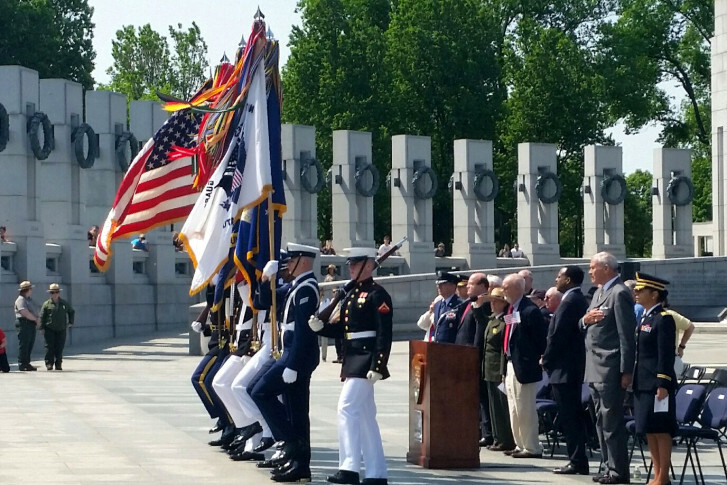 A special double celebration was held at the National World War II Memorial on Sunday.